Hollister, CA. - Corbin's classically styled Gunfighter provides the CB1100 with a fast, sportbike look while providing excellent rider comfort. 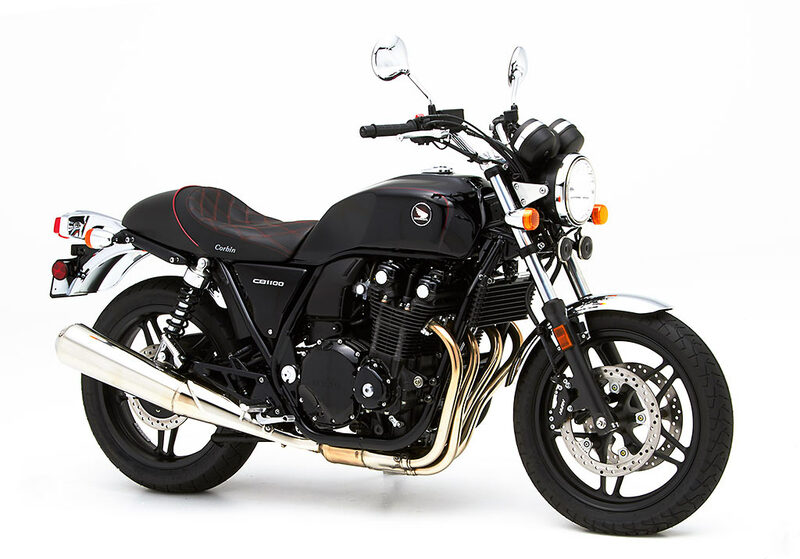 The smooth profile of the saddle matches that of the bike, blending with the overall scheme of the machine and embellishes the Honda deign. Our high density Comfort Cell foam allows a sleek, low profile while providing a firm supportive ride that lasts. 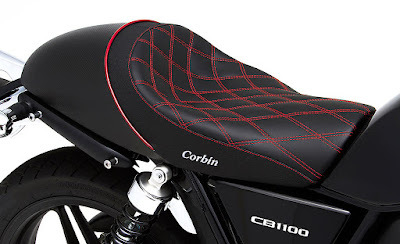 Corbin's ergonomic shaping creates a visually pleasing look on the motorcycle and adds to the custom appeal. 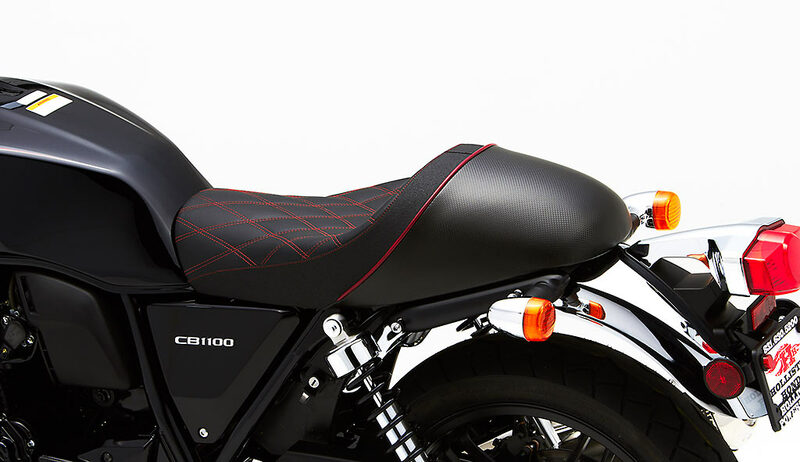 On top we include genuine leather seating panels for a luxurious ride. 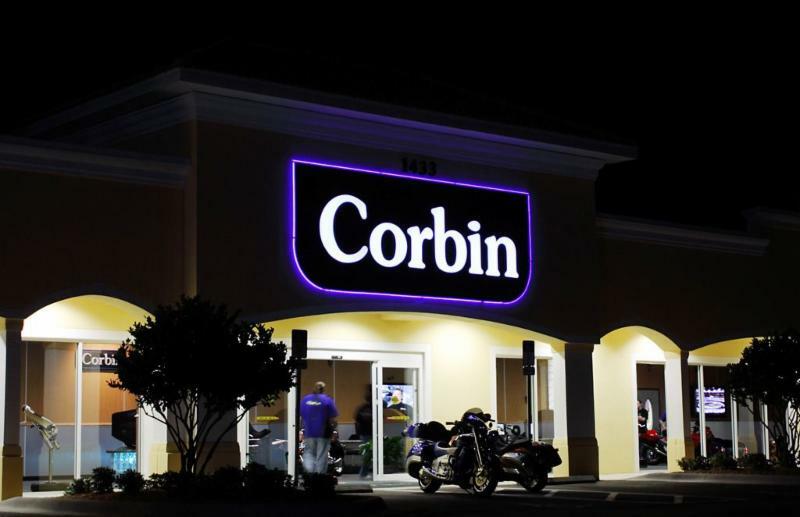 We offer a wide selection of color and texture options at no extra charge. We use genuine leather seating in all of our saddle models because it breathes with your body and will conform along with the foam shape during break in. 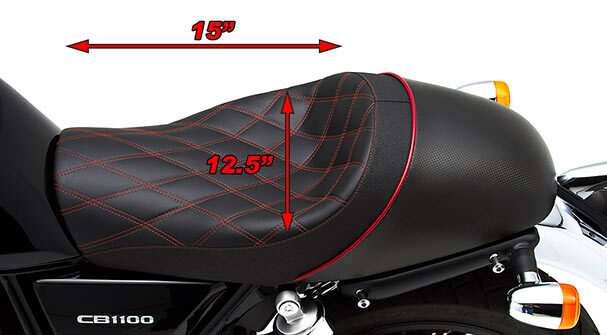 In the side panels, we use a vinyl material that will support the foam shape and keep the saddle looking sharp longer.